I just finished Nostalgia a few minutes ago. I gotta say I'm quite pleased and satisfied. The reviews and such said this game did not have any particular element to make it stand apart yet it was a charming classic RPG worth playing. 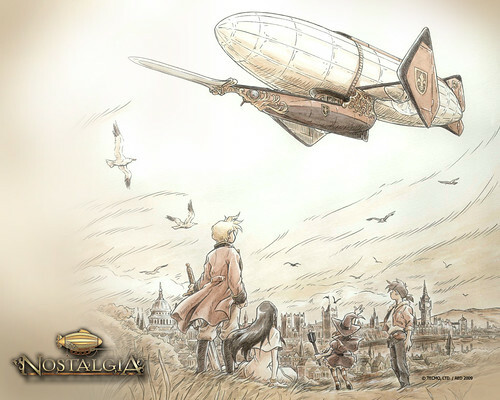 I have to agree with that, may be it was it's simplicity or as the title of the game says nostalgia for older RPGs that made this game an enjoyable experience. I do have to mention, the random battle rate and the difficulty of the later boss battles some reviewers complained about to me there where normal for both accounts. Can't say the rate of battles or difficulty was higher than what I expect from a RPG. Enought ramblings about the game. If you like RPGs and have a Nintendo DS I say go buy it or for more info check the wiki page.